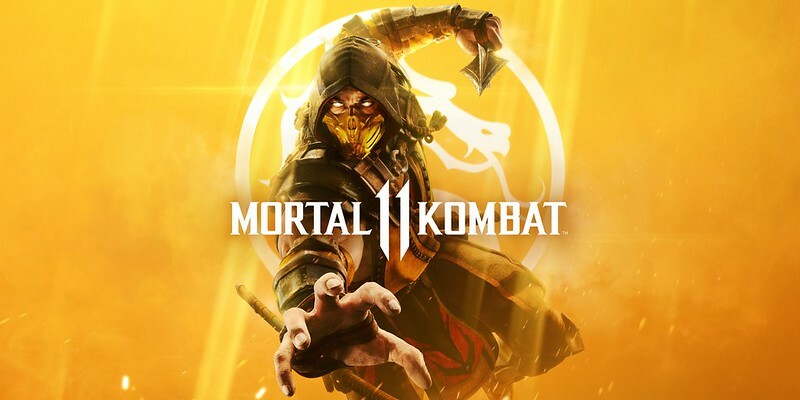 Via Ed Boon on Twitter. I'll probably buy the Komplete version in a year, for ~$20. It's my time to nerd out, new MK's only come out once every 4 years, and it has always been my favorite game series. I'll make sure I have the day off and buy whatever Kollector's Edition that they offer. The Injustice games are pretty good, but Netherrealm's (and mine) real pride and joy is Mortal Kombat. Kan't wait! I wish it was something like an MK2 remake in disguise. I love the series, fighting games just don't do it for me anymore. I can't stick with them like I used to. Kind of a bummer. Same problem. The nostalgia almost tempts me to buy, but I already know I won't really play it much, which is a shame. I grew up pouring hundreds of hours into MK, Street Fighter II, Samurai Shodown, etc. Then played everything from clayfighters, killer instinct, bloody roar - on and on. It just doesn't do it for me anymore. Couldn't even tell you why. I tried with Street Fighter IV, Dead or Alive 4, and Mortal Kombat (2011). I only got a few hours into the single player experience each time and quit. I also find fighting games to usually have terrible consistency with lag online for some reason. In games that require reflexes of fractions of a second, that's a deal breaker. Fighting games are only great when you can play them on the couch with a good friend. Of course, pretty much everything is better that way but especially fighting games. Online can't really replace that. I always kinda hated playing against you in fighters, mainly because you dumped way more time into them than I typically did. Haha, sounds like Patrick won the lion's share. Fighters are certainly my go-to game type. However with Netherrealm I've kind of got to agree that waiting for the "Komplete" edition is best. Though I was quite pleased with the online improvements they made in MK10 XL. I will always take any opportunity to wish for a new Bloody Roar game however, and we'll have to see about the new Samurai Shodown coming this year. He was one of the best of the bunch at fighters, growing up. They were his forte, back in the day. I can sympathize. I ran with a couple of gamer friends and they were better at everything ... except the original Street Fighter 2. I felt like Neo in the Matrix when I loaded that game up. That perfectly spells out my youth right there. I still buy the new stuff out of nostalgia as well. I just wait till they are super cheap since I know it is most likely a lost cause. I made it pretty far in Mortal Kombat when they rebooted that series and added the whole story element. The nostalgia strings helped push me through most of the story, but I still ran out of steam. The worst part is that there are a ton of really good fighters out right now. A younger me would be in fighter bliss. 80 hit Cinder Combo.. that is all.